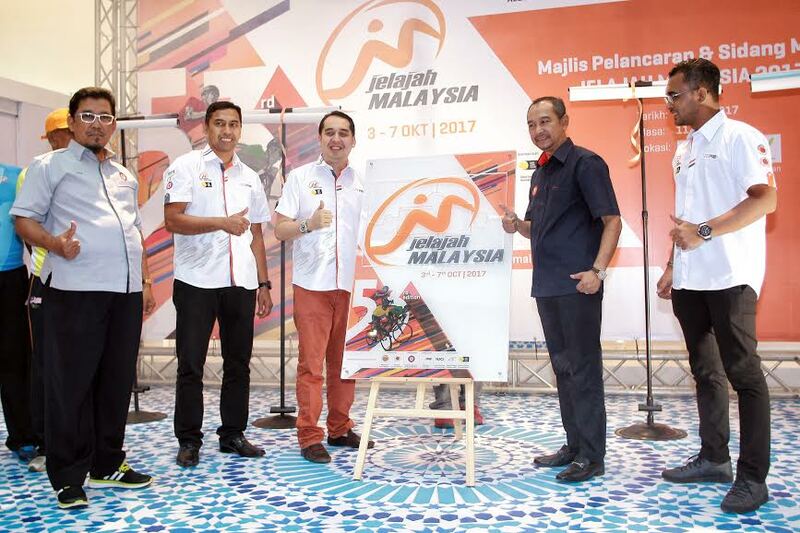 The region’s oldest stage race breathes new life under new event management company Life Pro Fit Sdn Bhd, Jelajah Malaysia 2017 is set to run from 3rd to 7th October featuring 20 teams set to light up the five stages. Entering its 53rd year, the Jelajah Malaysia will be run by new event manager Life Pro Fit Sdn Bhd, headed by Dato’ Mohd Nazifuddin bin Dato Sri Haji Mohd Najib Razak as the Chairman, Azri Che Noh as Managing Director and Noraidiazhar Sulaiman as Chief Executive Officer, with guidance provided by the able hands of the Malaysian National Cycling Federation (MNCF). At the launch of the event today at Aman Central Mall, Chairman of Jelajah Malaysia 2017 Dato’ Mohd Nazifuddin expressed the importance in preserving this iconic race for the future generations of young cyclists. (L-R) : Haji Omar bin Saad (MNCF Deputy President), Noraidiazhar Sulaiman (Chief Executive Officer Jelajah Malaysia 2017), Dato’ Mohd Nazifuddin bin Dato Sri Haji Mohd Najib Razak (Chairman Jelajah Malaysia 2017), Y.B. 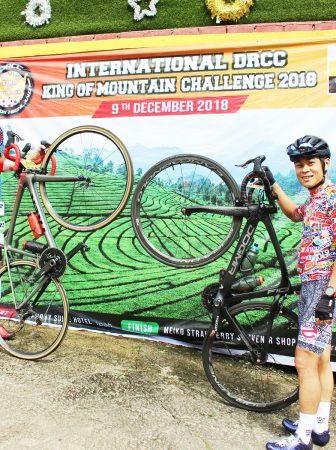 Dato’ Aminuddin Bin Omar (Kedah State Youth and Sports, Arts and Culture Committee Chairman) and Azri Che Noh (Managing Director Pro Life Fit Sdn Bhd). “We can expect a strong lineup of teams for this edition, there have been many requests from international teams eager to be in our start list. 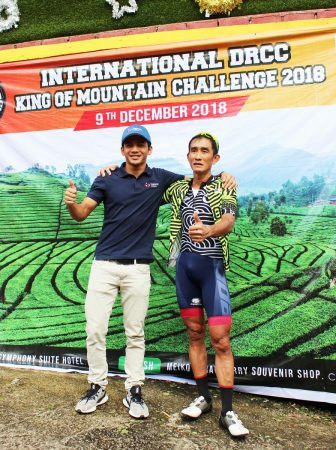 It will be tough to choose among them but Jelajah Malaysia will be a show that local cycling fans are eager to watch,” said Dato’ Mohd Nazifuddin. “We want the race to continue on, not just as the oldest stage race but also as a vital platform for the development of our next generation of riders. 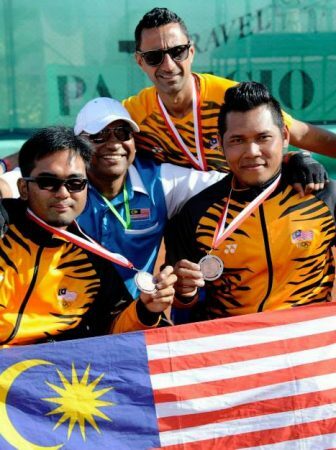 We expect the local teams to be fully prepared and be able to challenge for the overall title this time around.” he added. The 2017 edition will have five jerseys in contention; with yellow jersey for the overall leader, grey jersey for the best young rider, the polka-dot jersey for the king of the mountains, green jersey for the top sprinter in the race and a red jersey for the best Malaysian rider. 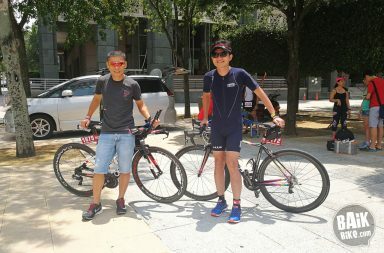 The race will feature 20 teams from throughout the Asia Pacific region in a five-stage race covering three states on Peninsula Malaysia. The route will be announced at a later date. The ‘Ride Safe Be Safe’ campaign, ‘Ride with Stars Putrajaya’, ‘Ride with Legends’ and ‘Car Free Morning Alor Setar’ was also launched as part of the activities in conjunction with Jelajah Malaysia 2017. Also present today were Kedah State Youth and Sports, Arts and Culture Committee Chairman Y.B. 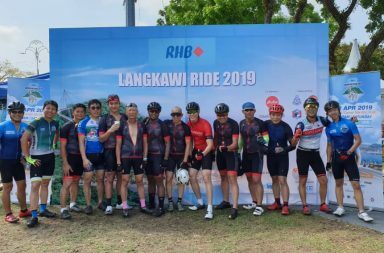 Dato’ Aminuddin Bin Omar, MNCF Deputy President Tuan Haji Omar bin Saad, representatives from the state government, race officials and potential sponsors. 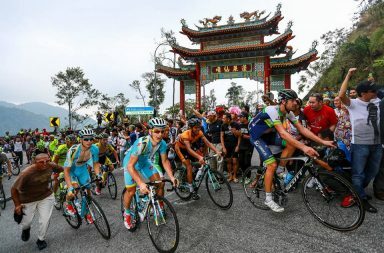 The Jelajah Malaysia is sanctioned by the International Cycling Union (UCI) as a 2.2 grade event on the UCI Asia Tour calendar and will feature some of the best teams from throughout Asia.